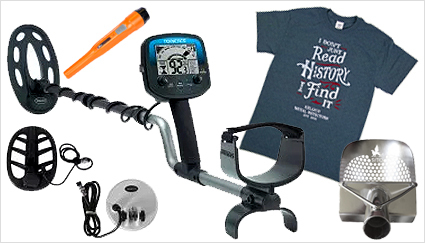 Win a Teknetics Omega 8500 3 Coil Pack, Waterproof Pinpointer, or Scoop! *Free Kellyco T-Shirt (if available) to each winner. Style & color may vary. The Winners will be selected by Administrator on or about one (1) business day after the Promotion Period ends, from among all eligible entries received during that applicable Promotion Period. Prize Winners will be notified by phone, mail or email.